Last month in this space, we lamented the fact that, fresh off the hectic three-day Kawaii Kon weekend, our tired minds could contemplate nothing more than manga with stories confined to a single volume. And then those supposedly tired minds went and wrote enough material to fill two "Drawn & Quartered" columns. Funny how things have a way of working themselves out, though. This month's collection of single-volume Tokyopop manga have a common thread of characters linked by tragic circumstances. 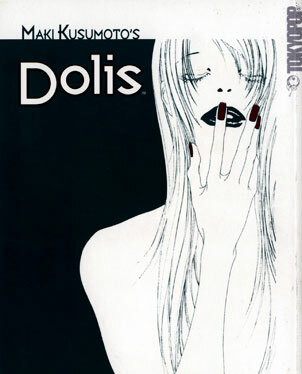 Mitsu and Kishi explore the complexities of love in high-concept art in "Dolis." Mitsu is a rather enigmatic young woman, quiet and brooding, regularly browsing through the shelves of books about art theory at her local bookstore. Kishi is a musician who just quit his band and works at the bookstore where she browses, captivated by her quiet, mysterious beauty. But while Kishi does eventually end up landing Mitsu thanks to his dogged persistence, the woman whose life he ends up immersing himself in is a woman whom he might never truly know fully. She once posed for a series of paintings with the alter ego of "Dolis," assuming different identities based on what the painter wanted, and it seems that she has become the personality-shifting Dolis in real life as well ... with a penchant for self-mutilation, to boot. The result is a rather unsettling, mature and complex love story that raises more questions than it answers. The minds of Mitsu and Kishi are both emotionally damaged in a way; the question is whether they can find that healing touch with each other. The "chapters" are only eight pages long, and the art could be described as minimal, with a palette of mostly dull, washed-out colors to complement it. Yet it's not a quick read by any stretch of the imagination. Rather, it's one of those books where you read a section, think, "OK ... did what I think just happened there, happen?" and read it several more times just to make sure. The bigger question here is whether all this amounts to a legitimate story or merely some pretentious, high-concept art piece. It's a fine line between the two, and "Dolis" seems to teeter precariously between both sides. A somewhat disappointing ending nudges it a bit toward the latter, though. 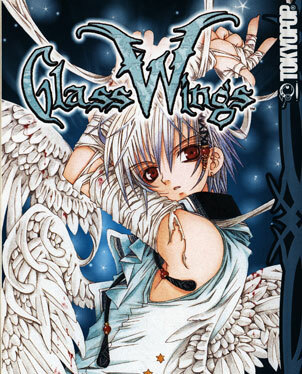 Hagane is to die for in Misuzu Asaoka's single-volume manga "Glass Wings." The three-chapter title story in this anthology follows Hagane, a boy on the verge of suicide when he's stopped by a much older woman, Tsubaki, who promises to love him forever. Turns out he has "death blood" -- anyone who touches even the smallest bit of it will get inflamed and die. The last person to inadvertently come in contact with Hagane's blood was a young woman who had been trying to help him. Back at Tsubaki's mansion, Hagane meets Ruriha, a girl about his age whom Tsubaki horribly abuses. The instant Hagane touches her arm, he feels a warm emotion he'd never felt before. The two are intent on escaping Tsubaki's clutches, but the obsessed woman adamantly refuses. They manage to flee for a while and live on the outskirts of a small village, where Hagane confronts his past when he runs into the brother of the young woman he accidentally killed with his blood. Then, captured once again by Tsubaki, Hagane and Ruriha finally break her hold on them as the older woman shrieks out her undying love for the boy. "Glass Wings" offers such a visual overload that it's easy to lose track of what's happening. Detailed images of flowing hair and clothing along with extreme close-ups make it difficult to discern the flow of action, and the story stops making any impression as the reader instead must concentrate on who is what and where, and how they got there. It's only a careful reading that reveals tormented souls trying to break free from their grim fate, suffering a bombardment of darkness -- with just the faintest light of hope -- that only a gothic hero must endure. The bleak endings make "Glass Wings" even more difficult to digest, and will probably leave the shards scraping uncomfortably at your core.